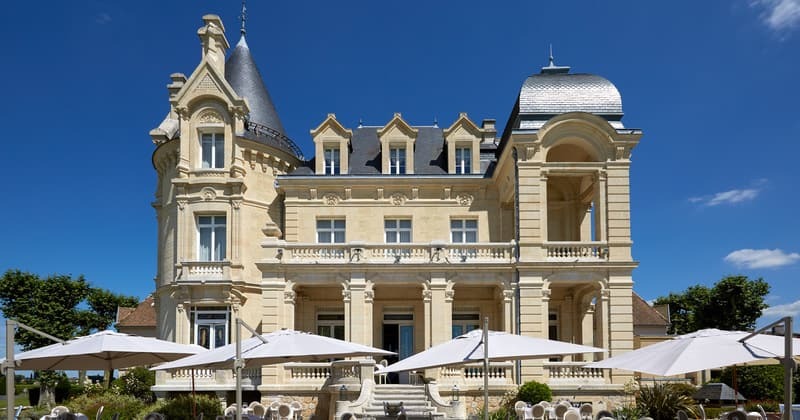 A majestic 19th Century Château that stands out with fairy-tale turrets and spires, Grand Barrail Château Hotel & Spa is set in picturesque grounds in the midst of the vineyards of Saint-Emilion. 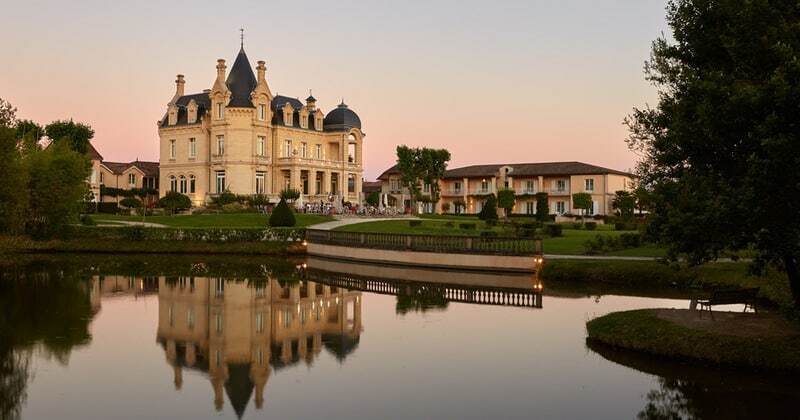 The Château is located in the heart of the vineyards, next to the Dordogne River. 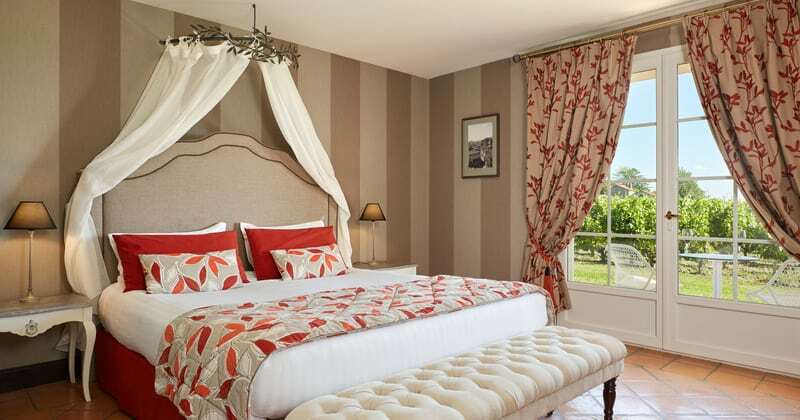 Just 1.9 miles from the town of St-Emilion, this is an extremely peaceful location with 7 acres of parkland surrounding the hotel. The hotel boasts many superb facilities, to help guests enjoy a relaxing stay. Guests have complimentary access to the on-site spa which features a Jacuzzi, sauna and Hammam and in the beautiful Bordeaux sunshine the outdoor pool is available for you to make a splash! For those looking to be more active, the hotel offers a fitness centre, tennis courts and cycling equipment is available for hire. 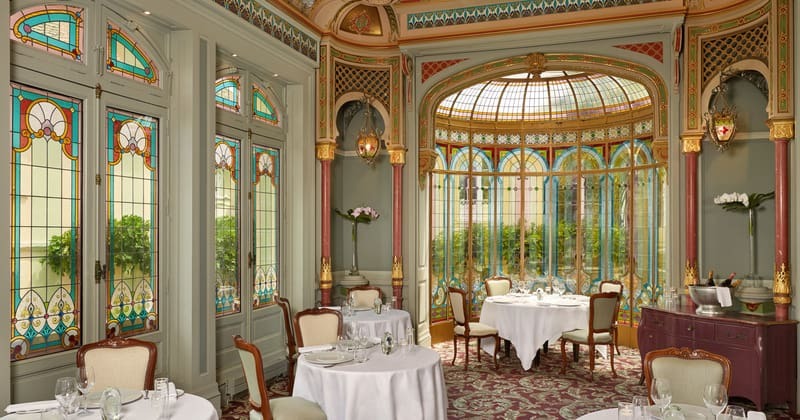 The Château has an excellent gastronomic restaurant on site in some of the most impressive rooms of the Château, and there is complimentary WIFI available throughout the property. The neutral colour palette and designer fabrics give the rooms a stylish and contemporary feel. Overlooking the vineyard or the parkland, guests will relax and enjoy the minibar, flat-screen television, safety deposit box, air conditioning and complimentary WIFI is available in all rooms.